“Ok honey, finish your breakfast fast or you will be late for work” Marsha said to Greg.She couldn’t wait for him to go to work the next morning. Both of them were stunned. 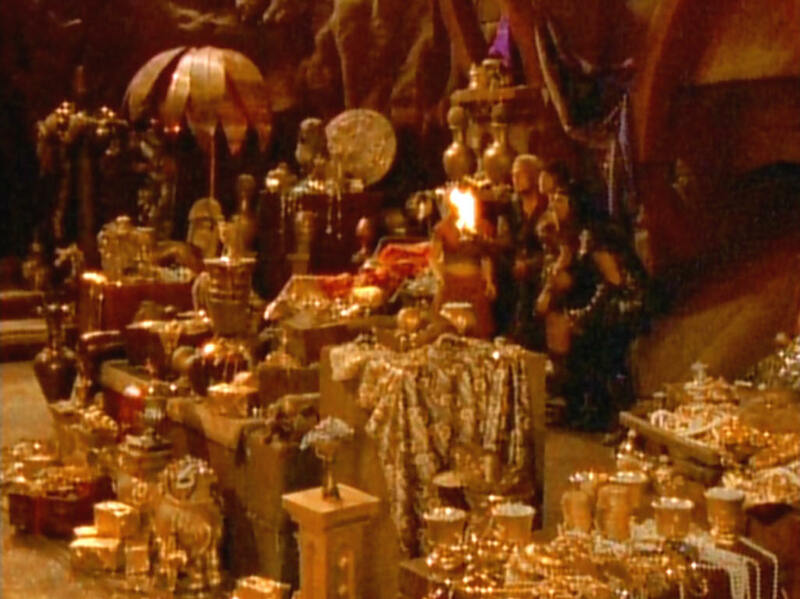 The room was filled with treasure, lots and lots of treasure. “Wheeeee, we are rich. I can’t believe this, we actually found real gold. This is all ours” said a very enthusiastic and an excited Marsha. “But honey, we can’t keep all of this with us. We have to report this to the police” explained Greg. “No, it’s ours we have found it and it’s ours to keep. No one gets to take it away from us” said Marsha. “Be reasonable Marsha, how can we keep all this” said Greg nodding his head from side to side. “We will talk about it tomorrow, for now let’s enjoy our loot. Tonight it’s only ours, Whooo hoooo” said Marsha happily screaming and running about the room. “Ok honey, as you wish” said Greg following his beloved wife.